Get your free report here What is Inbound Marketing? You don’t want just any old traffic to our website, you want traffic that wants to convert and become customers. 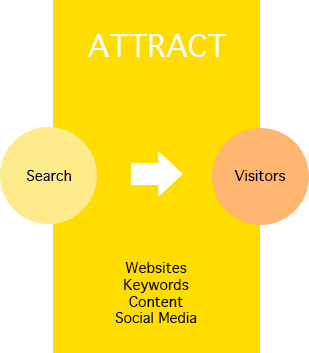 We continually work together to ensure that your website continues to attract the right kind of visitor. We do this by ensuring that your site has the right content, at the right time and in the right format. Websites, Blogs, Keywords, Content and Social Media are all the right ingredients to bring strangers to your website. Website design is also important, ensuring that your site is mobile and tablet responsive. After all, there is no point having the right content, if it's not in the format your customers want. Now your website is search friendly and attracting visitors, we want to convert those visitors into leads. It's important that we capture contact information i.e. 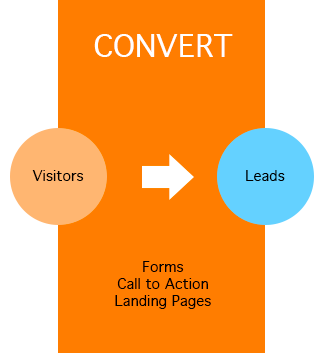 names, email addresses and names by using intelligent call to action and landing pages. In order for your visitors to part with their personal data, we ensure that we have the right valuable content that our visitors want to get their hands on. Special Offers and Valuable content that plugs a knowledge gap are two methods that aids this conversion. Now we've turned strangers into leads, we need to transform those leads into customers. This is where additional marketing channels such as email, Twitter, Facebook and Google+ are used to communicate the right message and at the right time. The key here is to ensure that our data is intelligent and segmented accordingly so we can tailor our communications and make it personal. 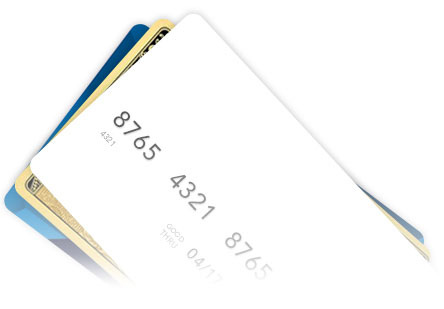 We encourage our leads to move through the buyers journey, so they ulitmately make the financial transaction. Inbound is all about content and not just for new customers, but for existing one's as well. We must develop content that continues to engage and delight and (hopefully) up sell to your current customer base. We all know that it's cheaper to keep existing customers than find new one's, yet remarkably few websites seem to embrace this. 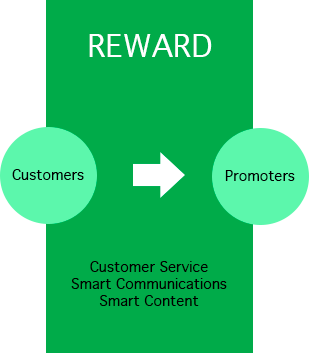 Inbound is all about rewarding existing customers and having content that is also aimed at them. Content such as 'how to' videos and 'user guides' are all types of content designed to make a smooth transaction and to ensure your customers are happy. Extensive market and keyword research that enables us to establish how your customers use search engines. Excellent content that is designed to persuade and influence visitors, turning them into leads and customers. 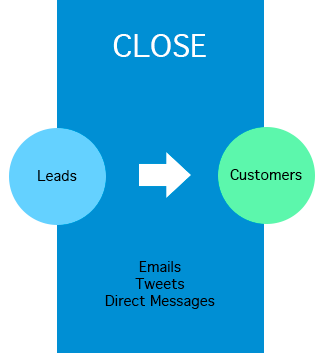 Working with you to develop email campaigns that are designed to convert leads into customers. Forging mutually beneficial partnerships with other organisations that result in stealth links (links that are undetected by search engines, but bring carefully selected high quality leads and customers to your door). Enhancing your online reputation and raise the profile of your organisation on the internet. Continuous monitoring of your keyword rankings, backlink profile and online reputation. Please check out some of our inbound marketing and SEO case studies, and our Live SEO and Inbound Marketing case study. Although your website will be search engine friendly, to solely rely on Google to bring traffic could be a dangerous strategy. It takes just a flick of the algorithm switch and before you know it, you’ve gone from ranking top 3 to outside the top 100. As an inbound marketing expert, I also build Stealth links – these are links that no algorithm update will impact on this linking strategy, yet they bring high value customers to your door. Inbound marketing is a highly skilled process and requires considerable attention to detail. I go about seeking links that will bring high quality leads that convert to customers; and perhaps improve your website rankings. If you are seeking links purely for ranking purposes, whilst this may bring short terms rewards, long-term this is a very dangerous strategy because Google could devalue such links. Source stealth links – links that are undetected by search engines, but bring excellent quality leads and customers. It requires good old fashioned hard work and manual investigation to find the best link opportunities out there for your company. Google will tell you where to get the best links, if you know how to ask for them; that’s what I am exceptionally good at. I also use public relations and content syndication. The use of PR is to influence others, particularly those in your business space and neighbourhood (both customers and businesses) to assist the search engine results pages and bring leads and customers. We also use content syndication, where high quality articles (that are of significant interest to web users) are published on carefully selected domains or other digital media, in return for a link back to your own site. Website editors cry out for content, and if you are able to produce excellent content, they will welcome your guest authoring. Content syndication is an acceptable inbound marketing strategy in the eyes of the search engines because you will only receive a link to your site and drive traffic to your site, if you produce articles that is of value to the host users. Where websites are concerned, the quality and relevancy of links to a website are what determine the search engine results pages (SERPs). A website without such inbound links will not appear on page 1 of Google or any other search engines for any competitive keyword, thus Inbound Marketing and SEO is absolutely essential. 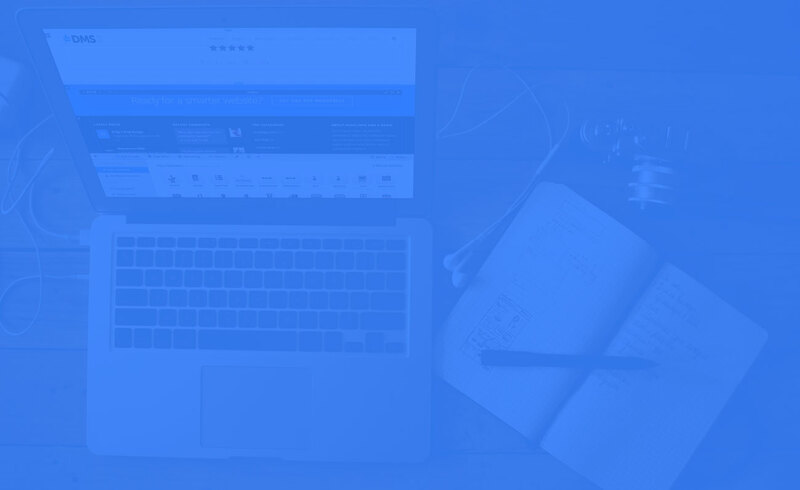 I offer bespoke SEO services that include me personally identifying the best targets, requesting the links and ensuring that your content is syndicated. I know what it takes to get PR coverage and links in the right places from the right people, that’s why you hire me. My inbound marketing services are extremely affordable, and very flexible, allowing even the smallest Birmingham or London based businesses to reach out to a new stream of customers. I like to work with small and medium sized businesses, as long as they have genuine content that is merit worthy. I’m very hands on and do this on nearly all days of the week. I do not contract my work out, I carry out and execute the contract myself. I identify the best and fruitful websites and I personally request the links. That’s why people hire me; I know what i’m doing.